With a thorough understanding of the areas best locations, years of experience and continuing education, I document my clients lives in a fun, creative and professional way. Since I started West End Photography in 2001 after graduating with a BA in photography from the Art Institute of Boston, I have had the privilege of sharing some of the most important and joyous moments of my clients’ lives. My talents lie in my ability to artistically capture real moments to tell your story, to make your time with me fun and stress free, and to pose and light you in the most natural, appealing way. 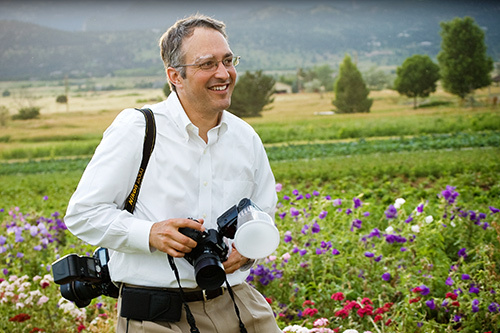 West End Photography is based in Boulder, Colorado where I live with my wife and two children. When I am not shooting I am usually working on my fine art prints, riding my bike, traveling, and volunteering in the community. I would love to document your story, so please contact me today at 303-415-0545. West End Photography is a fine art studio located in Boulder’s Holiday neighborhood at 1420 Lee Hill Dr. Come visit us to discuss your ideas and then take a stroll to North Boulder’s restaurants, parks, shops and cafes. Our studio is the perfect place for business portraits, fashion shoots, edgy senior sessions or a more formal portrait. We have many contemporary backgrounds and large studio lights that create a beautifully soft, three-dimensional light. Or, simply stop by to enjoy the gallery of stunning fine art prints. After your photo shoot you can return to the studio to see your images unfold on our large screen. We can even show you what they will look like on your own walls!